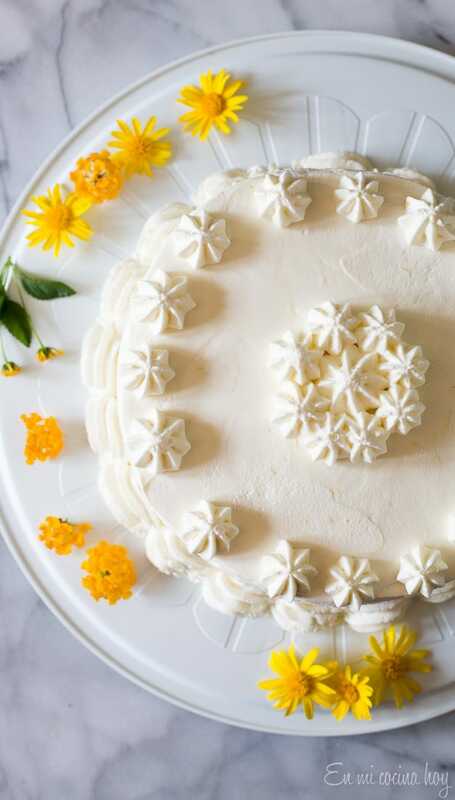 You’ll love this Lemon Pisco Sour Cake. It’s delicious, simple, and fresh; perfect for summer celebrations. But you must use natural lemons or limes juices, no concentrate please, to get the best taste of the cake. You can make the lemon curd two weeks in advance and keep refrigerated or frozen. 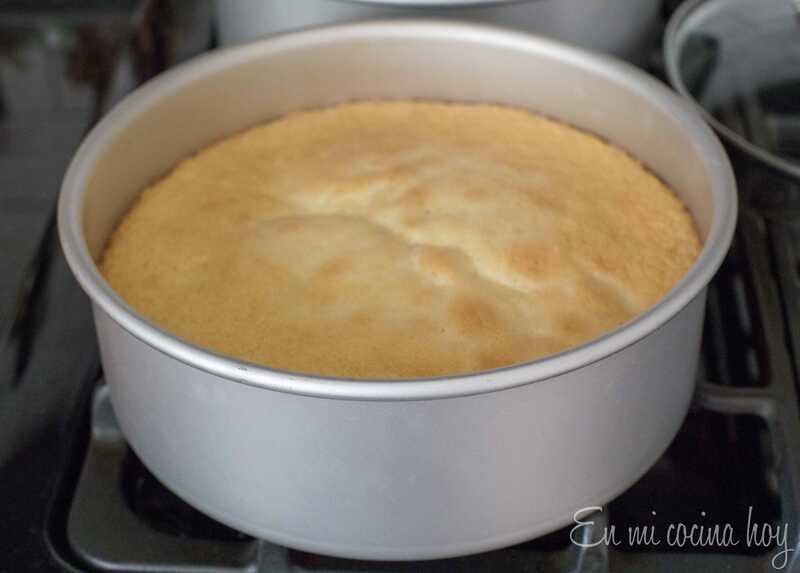 For the genoise cakes, I recommend you bake them one or 2 days before and always assemble the cake the day before serving so that the flavors have time to mingle and the cake is moist and delicious. You should keep it refrigerated. I have been practicing making videos of recipes, I still have a lot to learn, but I encourage you to watch it as it will inform you of the most important steps. I hope you have a very nice day with your mother, and if you are a mother yourself Happy Mother’s Day!!!. Hugs and kisses to all! In a small saucepan mix together the lemon juice, zest, sugar, and butter (cut into cubes). Heat over medium heat until the butter melts. Meanwhile, beat the eggs, yolks, and cornstarch until blended, blend 30 seconds by hand. Add half the juice mixture to temper the eggs, beating all the time. Pour the egg mixture into the pan and cook over medium heat, stirring until it thickens and is about to bubble. Pour into a jar, cool and refrigerate. Lasts 2 weeks refrigerated. You can also freeze it for up to 2 months. Preheat oven to 365F or 185C. Prepare two8″ round cake pans. Cover the bottom with parchment paper. Grease. In a bowl mix eggs, sugar, salt, and vanilla. While whisking, heat in a double boiler until it reaches a temperature of 115F or 46C while stirring. 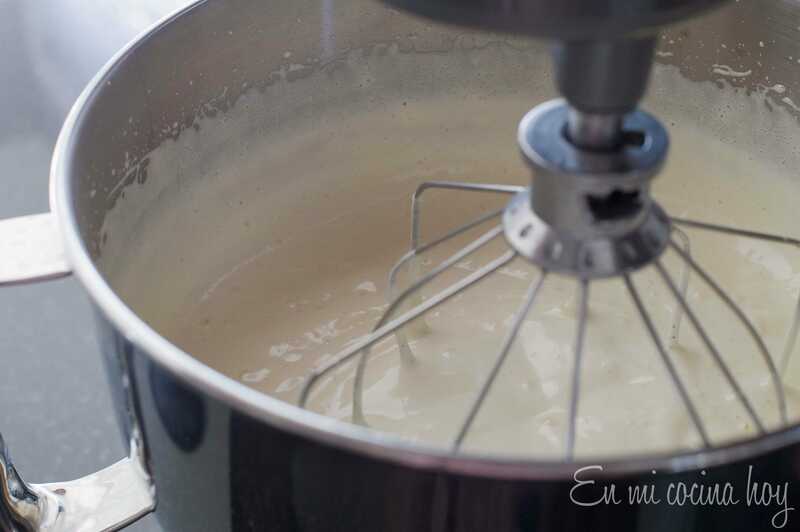 As the mixture reaches 46C, remove from the water bath and beat with electric mixer on high speed until the mixture rises and then collapses, leaving a ring on the edge of the bowl (see pictures), about 8 minutes. With a spatula, incorporate the sifted flour in 3 steps, using soft folding movements as seen in the video. Add the second addition of flour the lemon zest. Add the melted butter and incorporate it with folding motions. Empty the batter into the prepared pans and bake for 25-30 minutes until lightly browned. Cool on a wire rack and then wrap and refrigerate. 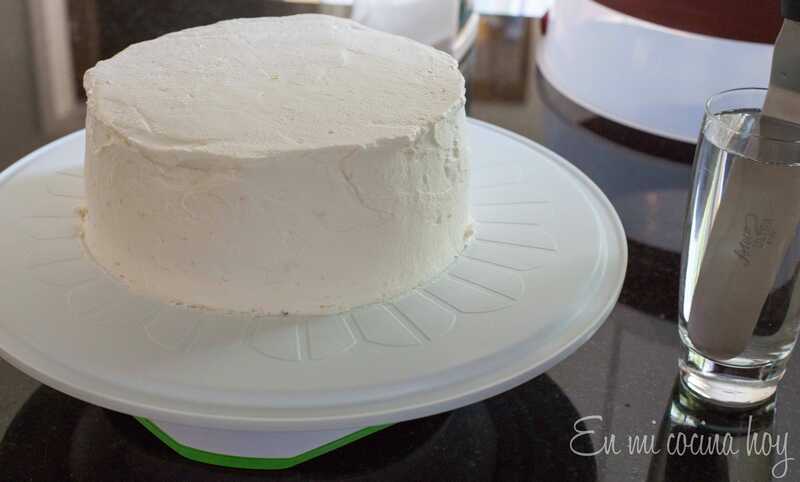 Do not remove from the pan until you are ready to cut and assemble the cake. In a small saucepan mix the lemon juice with the sugar. Cook over medium heat, stirring until sugar is dissolved, don’t let it boil. Remove from heat and add the pisco. Allow cooling. Whip the cream with an electric mixer on high speed until soft waves form. Reduce speed to low and add the sugar and lemon zest. Cut the cakes in half. Place one half on the plate where the cake will be assembled. Moisten with lemon syrup and pisco. Cover with a layer of lemon curd (use 1/3 of the curd). Repeat with the remaining cakes, as seen in the video. Cover and decorate with the lemon whipped cream. On the video, I used the tip Ateco #846 for the decoration details. Hello Pilar! this was my first time trying to make this beautiful cake! it was not as yours is shown. The best way I can describe it is that the cake had a bread pudding sort of consistency but a little harder. I still put it together and it all tasted wonderful! BUT it wasn’t soft like yours….and I cant figure out what I did wrong. I have gone over every step! I used silicone pans…could that have anything to do with it? I’m sorry to hear Ilse… I have done the cake recipe at least a dozen times without trouble. I have zero experience with silicone pans, but I had read they affect the baking time http://www.finecooking.com/articles/metal-vs-silicone-bundt-pans.aspx Since this cakes doesn’t have any baking powder they are very delicate and my guess is they didn’t rise as expected. thanks so much for your reply! one attempt down ha!! I will attempt again soon without the silicone pans and let you know how it goes. thank you!